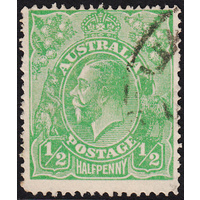 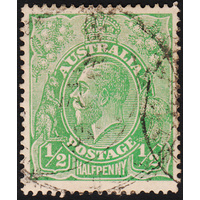 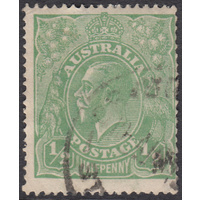 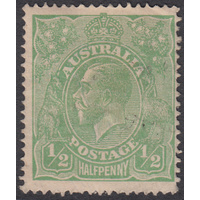 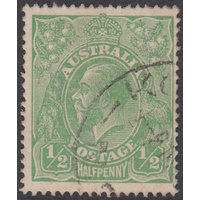 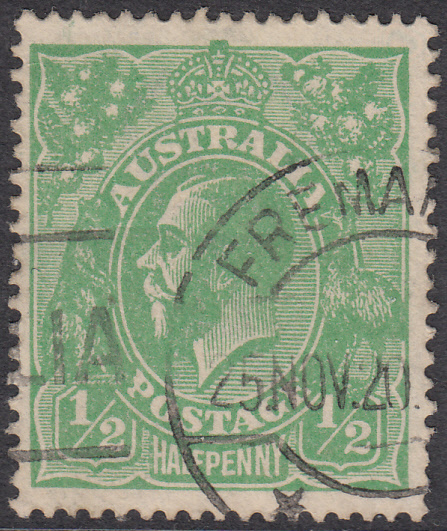 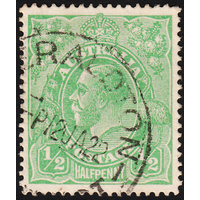 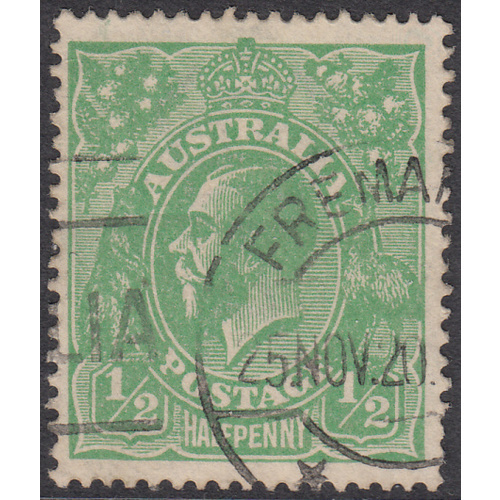 Australia KGV 1916, 1/2d Green, Single Watremark, variety 5R59 (Small spot below and slightly to the right of the right foot of the second N of HALFPENNY which it almost joins) in Fine Used condition with no faults. 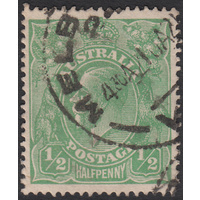 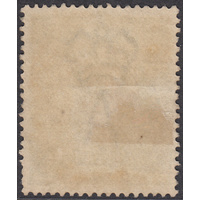 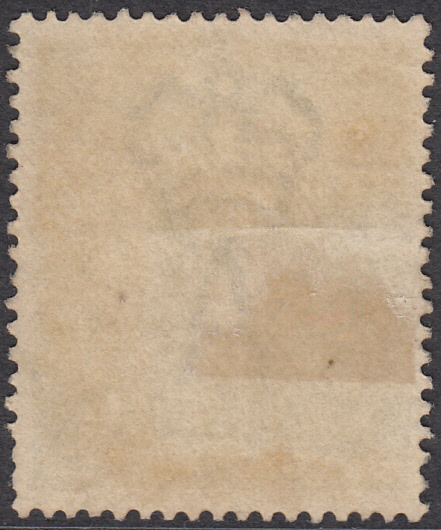 Well centered with a circular duplex cancellation (FREMANTLE, 25th November 1920) clear of the variety. 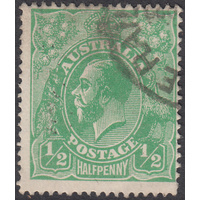 Nice dated example!